I will never stop talking about this. My all-time favourite LUSH product, I have re-purchased American Cream more times than I can remember, and when this 500g bottle runs out, I'm going for the 1kg. I go into more detail about this product in my full American Cream review, but in short this is a wonderfully thick, strawberries and cream scented conditioner that gives me super soft locks. To tame frizzy and dry curls! This is seriously such good stuff, I have no idea why I've never done a full review of it! My second favourite LUSH scent, R&B smells like jasmine and it is absolutely divine. 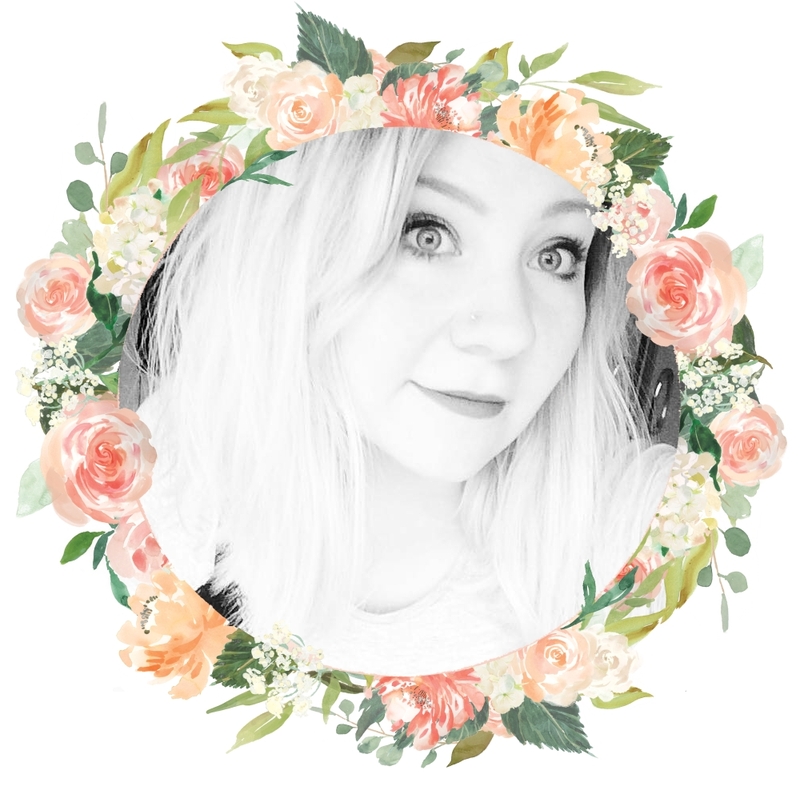 The day I bought it, the LUSH employee (hey Jess!) put some in my hair and alllll day I couldn't stop telling Adi how good my hair smelt. I scrunch this into wet hair before gently drying it, and it gives me silky, spiral curls. As I only wash my hair three times a week (if that), I need a shampoo that gives a deep clean in just one lather. I Love Juicy literally soaks up any grease and dirt in my hair, without making it feel straw-like or dry. It smells like pineapple and is an incredibly fruity, delicious shampoo. If you struggle with oily hair, I would definitely recommend this one for you. When your scalp needs a treat! I only ever use this shampoo as an absolute treat, as it's a LUSH Kitchen exclusive which is only available once or twice a year. This is actually my third bottle of Ice Blue in three years, and hopefully third time lucky as my last two bottles met an untimely end down the plughole *sob*. It's an amazing shampoo to use on self-care days as it's really fresh and uplifting, with a soothing scalp tingle. It also stimulates hair growth, so if you see this spearmint shampoo come into the LUSH Kitchen, buy it. You won't regret it. There's always an exception to the rule, and the scent of Daddy-O shampoo honestly makes me want to gyp. I cannot stand Parma Violets sweets, which unfortunately Daddy-O smells exactly like. However, this is the most amazing shampoo for counteracting brassiness and yellow tones in blonde, grey and silver hair. I use it once a fortnight and leave it on for a good 5 minutes to let it work its magic, before dousing myself in American Cream to cover up the scent! Do you own any LUSH hair products? Happy Happy Joy Joy conditioning perfume is next on my list! I love lush products so so much but have only used the Honey I Washes the kids shampoo bar which I LOVE ! It smells amazing and leaves your hair feeling so clean ! I must try some more ! I haven't tried that yet! I'll pop it on my list! I think they might ship to Ireland! I have never tried a lush product before. After seeing this I may have to give there products a try. Thank you for sharing this post with us. The face masks are fab! I love love LOVE lush stuff and I'm shocked that I've not tried these before. My hair needs a lot of tlc so lots to choose from! Cheers! LUSH is honestly my favourite shop in the whole world! Have you ever tried "Big"? it's not something for regular use but it gives my hair amazing lift! What???? Get yourself to a LUSH store -pronto! I've actually never tried any hair product from Lush, but you make all of these sound so wonderful. My hair DOES need a change from the old Pantene routine I'm stuck in, so I'll have to check these out! I hahe never tried any products from lush! I'm not a bath bomb sorta girl so I've just never looked into the rest of their products! I absolutely love the sound of the I love juicy shampoo! I try to wash my hair as little as possible as I know it's better for it! I really have to give that shampoo a go! The American Cream conditioner sounded so good I went to your linked post to it. strawberry and cream scented just shouted out to me. Sounds so lovely. I never buy all that much from lush as I don't have a bath in my home and thats the main thing I think of with purchasing from lush. Think I need to take a trip to town! It's amazing, pick it up ASAP! Oh my, the I love Juicy shampoo and the American Dream conditioner im pretty sure I need in my life!!! Ive never tried any LUSH hair products so definitely need to have a look as they sound amazing!! They are my favourite hair combination ever! I was reading this the other day and forgot to comment! I must admit that I am a 'Lush fiend', but as I have a hair/skin problem, I bought American Cream, on reading this post, today to try and curb it. Thank you! Whattt???? Go try some lush! I've not tried any of these products, but I've been wanting to try Daddy-O for ages! I really love the BIG shampoo bar though, I'd definitely recommend it! Daddy-O does as it promises, I just hate the smell ahaha! Thank you for this recommendations! I am actually looking for a really nice shampoo/scalp treatment and I'm gonna check the Ice Blue shampoo you mentioned here. Fingers crossed! Definitely keep an eye on the LUSH Kitchen for it coming in! I am so jealous!! I would love each of these products! I buy bath bombs at lush but have a hard time spending the money on the other products, not because I don't want them. I just can't afford it! They are expensive, but they are so worth it! Awesome review! I've never tried Lush hair products since my hair is mega long and thick (it's taken a lot of trial and error to find a good product) but maybe I'll give it a try! 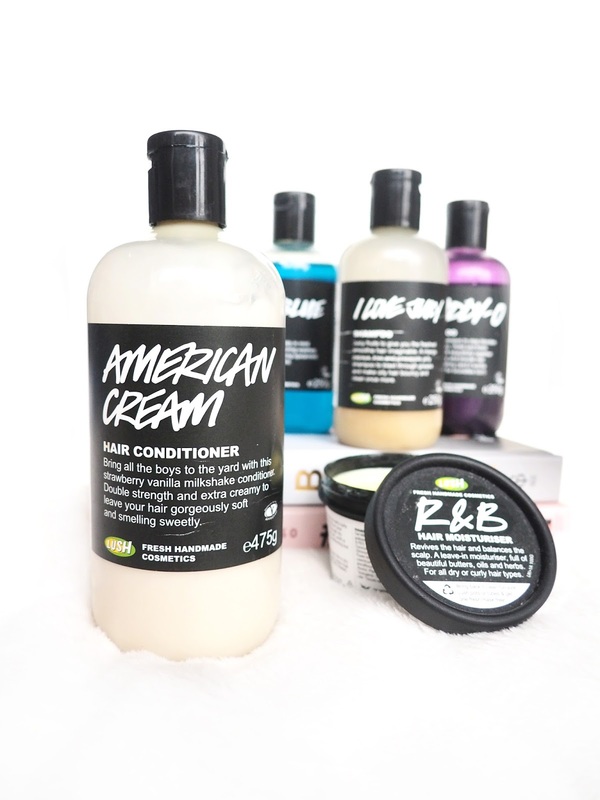 Definitely try American Cream, my hair is incredibly thick and it used to be waist length! Will be off to lush next time I'm in town! Yes, yes, yes. I've just started using Lush Hair products again after a few months on another organic brand. I kind of really want to try R&B now! LUSH are honestly just incredible for all their products!